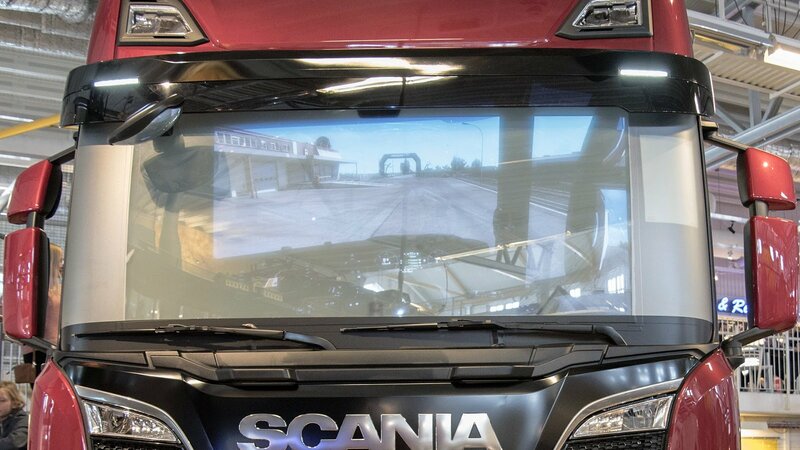 A few weeks ago a very interesting inquiry came from our friendly contact who works for Scania. 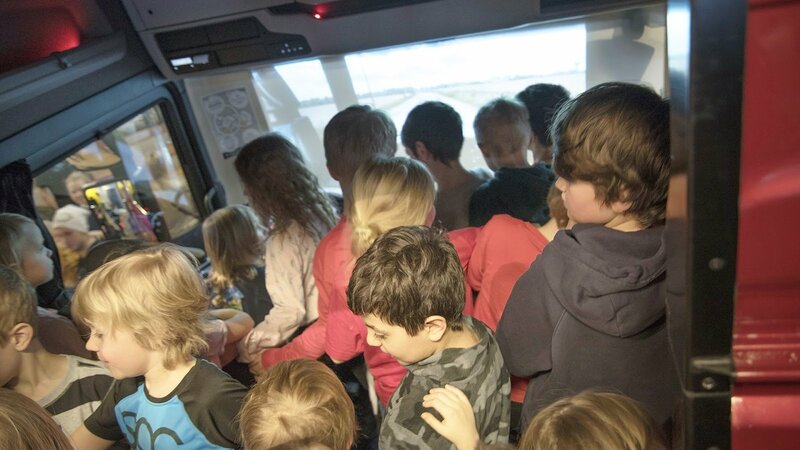 Their team was about to open a dedicated booth in the 'Teknikens Hus', which is Sweden's northernmost nonprofit science center, or as they put it, a world of technology and an exciting place for the curious of all ages. The science center sees around 100,000 visitors from around the world each year! 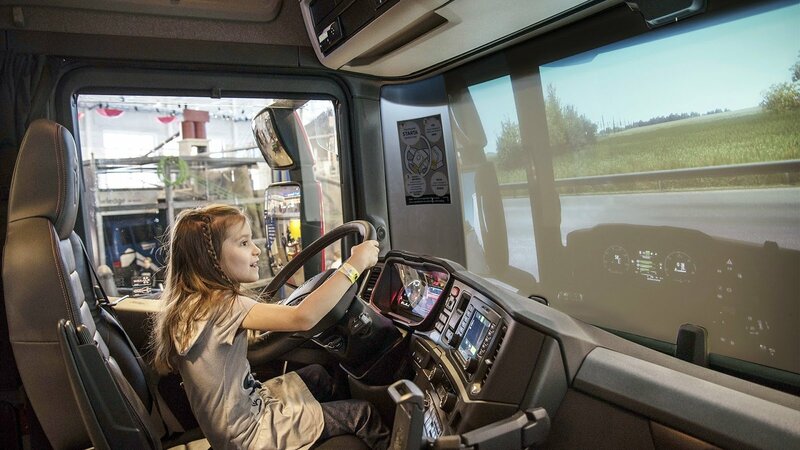 Featured among the many exhibits is a Scania exhibition which is focused on the components of the truck, such as the rear axles and similar, which are manufactured in the city of Luleå. 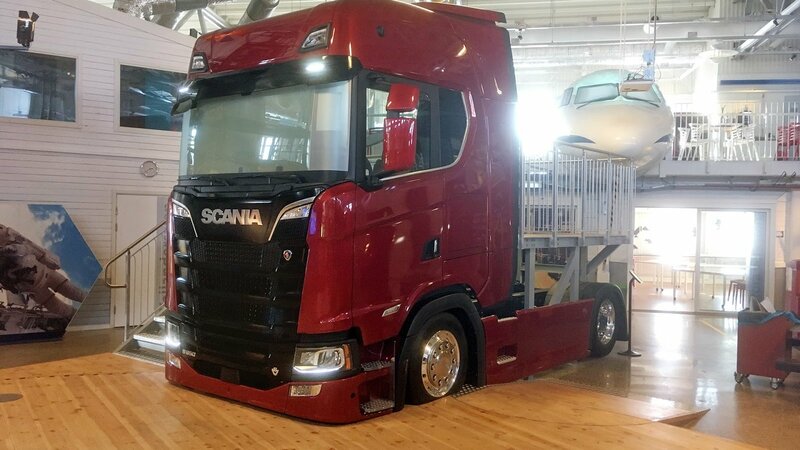 To represent the final finished product, they have also used a full-size real Scania truck! 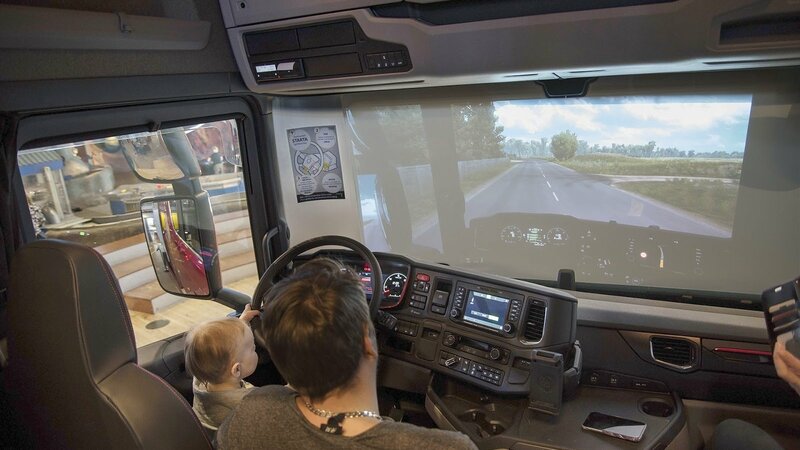 Because the center receives a lot of visitors, including children of all ages, an amazing idea was conceived: to implement a special version of Euro Truck Simulator 2 into the cabin of the truck, and let the visitors experience what it is like to drive the vehicle on the road. We're always open for such challenges and potential cooperation and even more so when it's for the good cause of children's education! We are happy to be able to configure a special build of our game according to their needs. 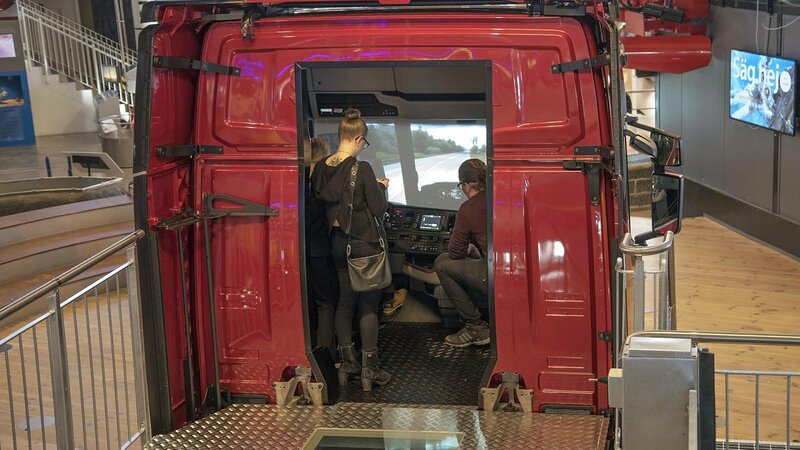 And from the looks of things, it looks like the event was a great success and the visitors truly enjoyed the opportunity to try this unique combination of an actual Scania truck and our game. Check out a few photos their team has sent to us. By the way, their booth is planned to be there for at least four years - so if you are around the area in the future, be sure to stop by. 1.33.x Happy New Year 2019!!! 1.2.5.1, 1.3.1, etc Christmas and The New Year 2014 paint job competition!